Good Friday is the day to commemorate the Lord Jesus Christ’s death for the salvation of mankind. The Lord Jesus has redeemed our sin by His crucifixion, allowing us to enjoy God’s abundant grace and blessings, and bringing us the promise of eternal life. Read these Bible verses about Good Friday and appreciate God’s good intentions in saving us. For God so loved the world, that he gave his only begotten Son, that whoever believes in him should not perish, but have everlasting life. For God sent not his Son into the world to condemn the world; but that the world through him might be saved. Saying, Behold, we go up to Jerusalem; and the Son of man shall be delivered to the chief priests, and to the scribes; and they shall condemn him to death, and shall deliver him to the Gentiles: And they shall mock him, and shall whip him, and shall spit on him, and shall kill him: and the third day he shall rise again. 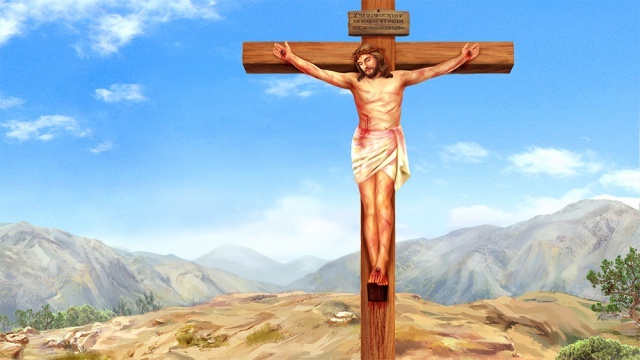 • God Is Almighty, but Why Did Jesus Redeem Us by Crucifixion? For when we were yet without strength, in due time Christ died for the ungodly. For scarcely for a righteous man will one die: yet peradventure for a good man some would even dare to die. But God commends his love toward us, in that, while we were yet sinners, Christ died for us. Much more then, being now justified by his blood, we shall be saved from wrath through him. For if, when we were enemies, we were reconciled to God by the death of his Son, much more, being reconciled, we shall be saved by his life. And not only so, but we also joy in God through our Lord Jesus Christ, by whom we have now received the atonement. Whom God has set forth to be a propitiation through faith in his blood, to declare his righteousness for the remission of sins that are past, through the forbearance of God; To declare, I say, at this time his righteousness: that he might be just, and the justifier of him which believes in Jesus. He was oppressed, and he was afflicted, yet he opened not his mouth: he is brought as a lamb to the slaughter, and as a sheep before her shearers is dumb, so he opens not his mouth. He was taken from prison and from judgment: and who shall declare his generation? for he was cut off out of the land of the living: for the transgression of my people was he stricken. And he made his grave with the wicked, and with the rich in his death; because he had done no violence, neither was any deceit in his mouth. • How to Be Saved? Bound by Sin, Are We Truly Saved? For even hereunto were you called: because Christ also suffered for us, leaving us an example, that you should follow his steps: Who did no sin, neither was guile found in his mouth: Who, when he was reviled, reviled not again; when he suffered, he threatened not; but committed himself to him that judges righteously: Who his own self bore our sins in his own body on the tree, that we, being dead to sins, should live to righteousness: by whose stripes you were healed. For Christ also has once suffered for sins, the just for the unjust, that he might bring us to God, being put to death in the flesh, but quickened by the Spirit. But he was wounded for our transgressions, he was bruised for our iniquities: the chastisement of our peace was on him; and with his stripes we are healed. Easter is a very important day for Christians to celebrate the resurrection of the Lord Jesus. Here are 9 must-read verses for you to read and they will help you better know the gospel of the Lord Jesus. No man takes it from me, but I lay it down of myself. I have power to lay it down, and I have power to take it again. This commandment have I received of my Father. Yet a little while, and the world sees me no more; but you see me: because I live, you shall live also. To whom also he showed himself alive after his passion by many infallible proofs, being seen of them forty days, and speaking of the things pertaining to the kingdom of God. Whom God has raised up, having loosed the pains of death: because it was not possible that he should be held of it. The seven words of Jesus on the cross are the last seven expressions of the Lord Jesus when He was crucified to redeem mankind, which contains profound meaning. Let’s contemplate and pray-read these Bible verses and feel God’s love and salvation for us. Our God is full of mercy and lovingkindness. We can learn how to take pity on others from the following Bible verses. Matthew 5:7 Blessed are the merciful: for they shall obtain mercy. Proverbs 28:13 He that covers his sins shall not prosper: but whoever confesses and forsakes them shall have mercy. Isaiah 49:10 They shall not hunger nor thirst; neither shall the heat nor sun smite them: for he that has mercy on them shall lead them, even by the springs of water shall he guide them. Isaiah 49:13 Sing, O heavens; and be joyful, O earth; and break forth into singing, O mountains: for the LORD has comforted his people, and will have mercy on his afflicted. Isaiah 49:10 Can a woman forget her sucking child, that she should not have compassion on the son of her womb? yes, they may forget, yet will I not forget you. Isaiah 54:8 In a little wrath I hid my face from you for a moment; but with everlasting kindness will I have mercy on you, said the LORD your Redeemer. Isaiah 54:10 For the mountains shall depart, and the hills be removed; but my kindness shall not depart from you, neither shall the covenant of my peace be removed, said the LORD that has mercy on you. Isaiah 55:7 Let the wicked forsake his way, and the unrighteous man his thoughts: and let him return to the LORD, and he will have mercy on him; and to our God, for he will abundantly pardon. Peace be with you all! Dear brothers and sisters, if you have any understanding or enlightenment from God, you’re welcome to share with us.1. Via the online chat window at the bottom right corner of the screen.2. Send an email to info@testifygod.org.We sincerely hope we’ll grow spiritually through sharing with each other.